* This article is based on an excerpt from the paper Tracing Gibran’s Footsteps: Unpublished and Rare Material, in Gibran in the 21th Century: Lebanon's Message to the World, edited by H. Zoghaib and M. Rihani, Beirut: Center for Lebanese Heritage, LAU, 2018, pp. 93-145. While his masterpiece The Prophet– originally published in English by Alfred Abraham Knopf in New York in 1923, and translated into at least 100 languages – is well-known by readers all over the world, the author’s biographical identity remains a mystery to most people: an American hippie writer or an old long-bearded Indian guru? The majority of Westerners indeed ignore he was an Arab-born poet, novelist and painter who immigrated with his family to the United States at the end of the 19th century from his native Mount Lebanon, part of the Ottoman Greater Syria. 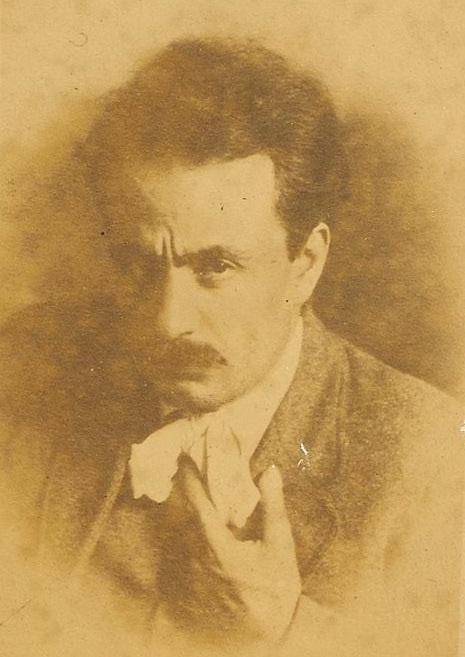 One of the strangest enigmas related to him resides in his name: Arabs call him Jubran Khalil Jubran (Jubrān Khalīl Jubrān),¹but for the rest of the world he is Kahlil Gibran. To be sure, we know that he always signed his full name in his Arabic works but dropped the first name in his English writings changing the correct Arabic spelling of ‘Khalīl’ to ‘Kahlil.’ But which was his official American identity name? How was his name registered in the United States? How did he use to formally introduce himself there? Sadly known as “The Island of Tears,” Ellis Island, in Upper New York Bay, was the gateway for over 12 million immigrants to the United States as the nation’s busiest immigrant inspection station between 1892 and 1954. 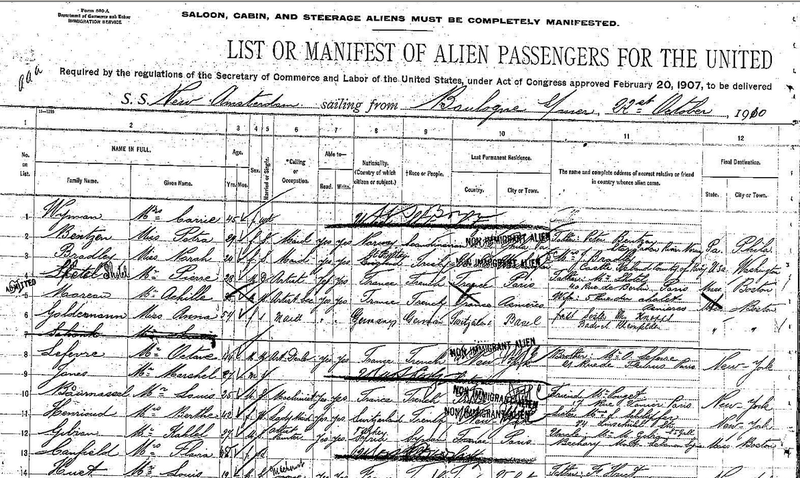 It was the processing facility for the most stupendous immigration movement the world has ever seen, and as a ‘Syrian alien’ (he never became an American citizen) and a steerage passenger, Gibran’s entries into the United States of America also had to be processed through there. · Ship of Travel: Spaarndam. Rahme (Raḥmah), and not ‘Rhamé,’ was Gibran’s mother’s surname. 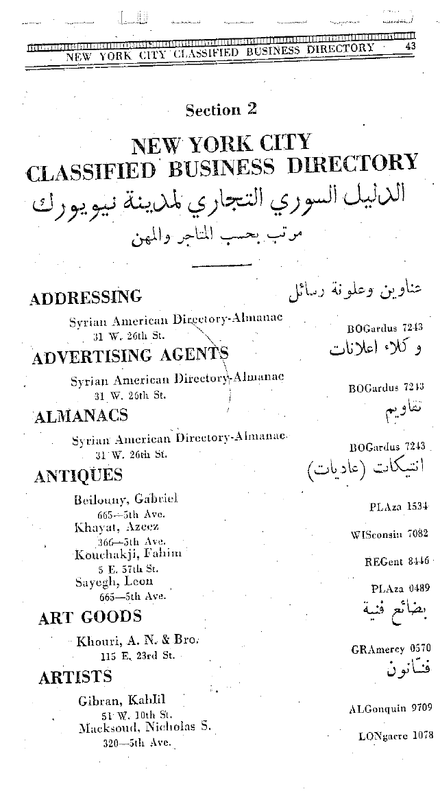 But why did the Gibrans come in under the name of Rhamé? Kamila (Kāmilah), and not ‘Camé,’ had previously been married to Hanna Abd-al-Salaam Rahme (Ḥannā ‘Abd al-Salām Raḥmah), a cousin of hers who had died in Brazil, leaving her with one son, Butrus (Buṭrus) or Peter (and not ‘Poutros’). Since Khalil Saad Jubran – Kamila’s second husband, and father of the author, Mariana (Maryānā) and Sultana (Sulṭānah) – did not immigrate with them to America, it was the male eldest child to serve as the head of family in that circumstance, and this probably is the reason why they used his name. 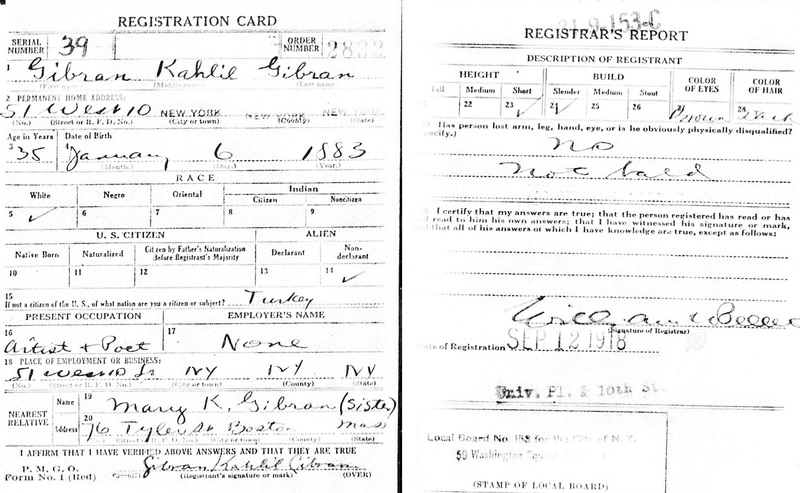 Lastly, it is noteworthy that the register gives Gibran’s age as eleven instead of twelve (as is well known, he was born on 6 January 1883). In 1898 Gibran was sent back to Lebanon, where he joined the Maronite Catholic college Madrasat al-Ḥikmah (Collège de la Sagesse) in Beirut.7 In 1902, he hurried back to the United States upon hearing of the death of his youngest sister, Sultana, of tuberculosis. · First Name: Gibran K.
· Final Destination in the United States: Boston, Mass. So Gibran Kahlil Gibran was surely the full name by which he signed not only all his government documents but also his banking transactions. 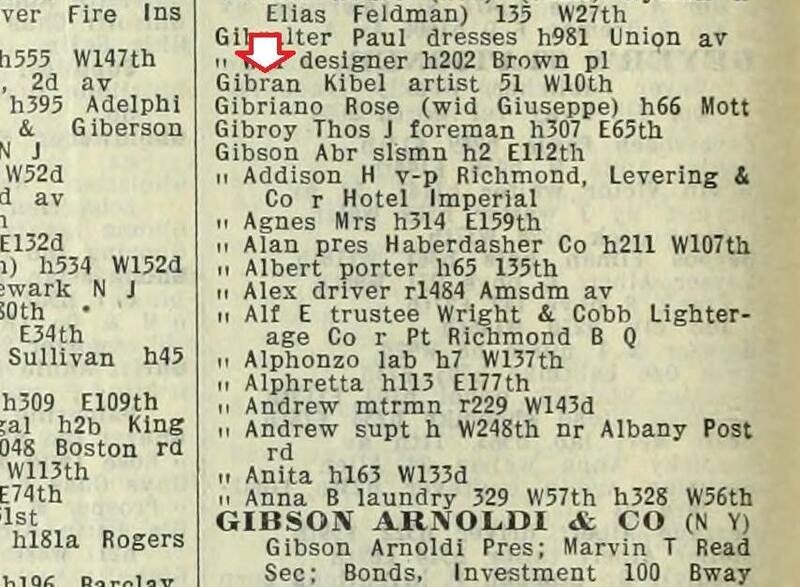 He was holder of an account at the Bank of the Manhattan Company (31 Union Square, New York City) and in my personal collection of Gibran items I keep a twenty-five dollar check dated 14 August 1928 precisely signed by him as «G.K. Gibran»,9 made out to his fellow citizen Joseph Salah of Bisharri, owner of the Sheik Restaurant which was situatedin Boston at 199 Longwood Ave.10. "Must I Answer the Telephone?" 1. The middle name being his father’s: it is convention among Arabs to use the father’s name after one’s first name. 2. Mikhail Naimy, Kahlil Gibran: A Biography, with a Preface by Martin L. Wolf, New York: Philosophical Library, 1985, p. 28. 3. f. Jean Gibran and Kahlil George Gibran, Kahlil Gibran: Beyond Borders, with a Foreword by Salma Hayek-Pinault and Afterword by Salma Khadra Jayyusi, Northampton, Massachusetts: Interlink Books, 2016, p. 439. 4. particularly amusing anecdote worth mentioning once told by Gibran himself is when he was by then famous and met a policeman in Central Park, New York City, who, after hearing he was «Syrian» asked him: «Oh. Know anything about that Syrian – think his name is Kayleel Guibran– fellow who writes books?» (cf. Juliet Thompson, “Juliet Remembers Gibran: As told to Marzieh Gail,” in World Order, 12, 4, Summer 1978, p. 31). 5. See The Statue of Liberty-Ellis Island Foundation archives (https://www.libertyellisfoundation.org/about-the-foundation). 6. In fact they headed straight off to Boston, which appears always to have been their intended destination. 7. According to some biographers, he was enrolled in a junior class because his knowledge of Arabic was found to be patchy, but he protested and was allowed a more flexible routine. 9. A photographic reproduction of it has been published in Joumana Bou Fakhreddine, Gibran K. Gibran: Alive, 2 vols., Beirut: Dar Almoualef, 2017, p. 21 (Courtesy Francesco Medici). 10. 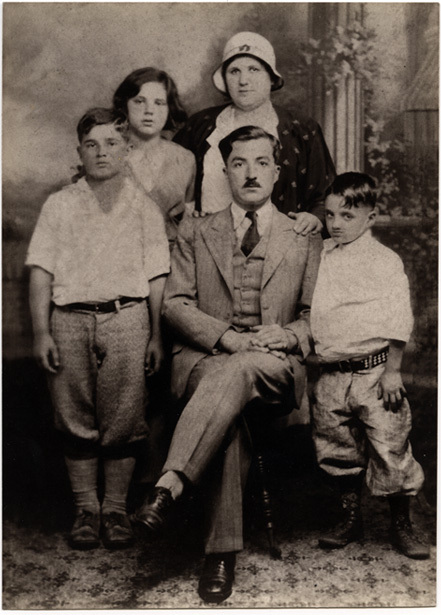 In 1919 Joseph Salah and his wife Nora emigrated from Bisharri to the United States, where he became an entrepreneur and restaurateur. 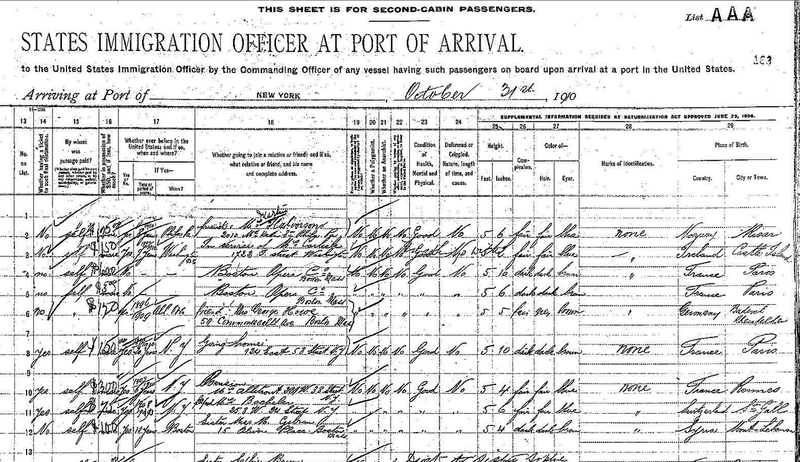 By 1924, they had three children: Isabel, James and George. Upon James’s death in 2009, the Salah Foundation was founded in Boston, Massachusetts. It is a private foundation, directed by his niece Noreen Salah Burpee, that supports non-profit organizations (cf. http://www.salahfoundation.org/). 12. “Correspondence between Gibran and Rihani,” in Excerpts from ‘Ar-Rihaniyat’ by Ameen Rihani, edited with an introduction by Naji B. Oueijan, Beirut: Notre Dame University Press-Louaize, 1998, p. 68 (translated by Suheil B. Bushrui). 13. The same telephone number is also mentioned in another letter to Mary dated 26 August 1918 (cf. Beloved Prophet: The Love Letters of Kahlil Gibran and Mary Haskell and her Private Journal, edited and arranged by Virginia Hilu, London: Quartet Books, 1973, pp. 286 and 313). 14. Cf. Henri Zoghaib, Kahlil Gibran… People and Places, Translated from original Arabic by Angélique Béaino and Jennifer Berry, Edited by Brighid Webster, London-Beirut: Centre for Lebanese Studies, 2016, pp. 110-112. 15. Barbara Young, This Man from Lebanon: A Study of Kahlil Gibran, New York: Knopf, 1945, p. 12. 16. Cf. R.L. 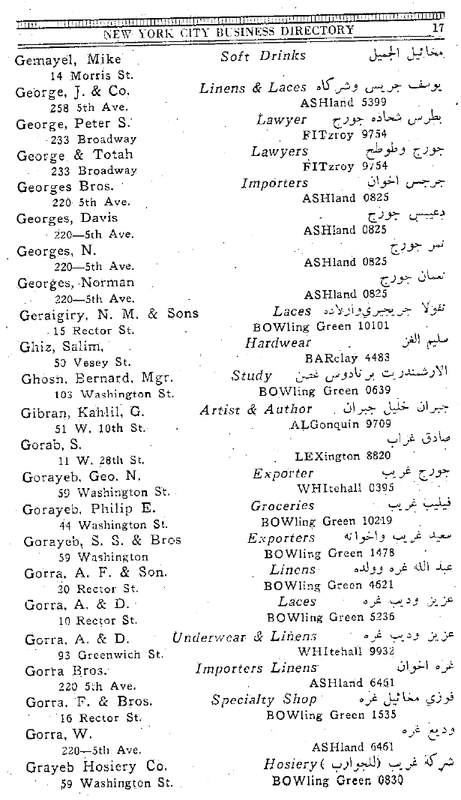 Polk & Co.’s 1915 Trow General Directory of New York City, Embracing the Boroughs of Manhattan and the Bronx, vol. 128, p. 768. 18. 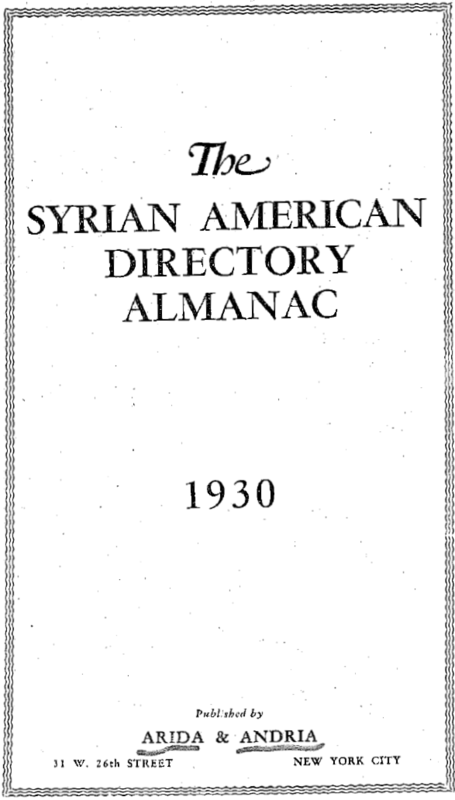 The Syrian American Directory Almanac 1930, New York: Arida & Andria, 1929, pp. 17 and 43.